- River Walk (550m): follows the route along the Applecross river (Crossan) as it flows towards the sound. - Clachan Heritage Trail (423m): access route and peaceful approach to Clachan Churchyard and the monastic base of St Maelrubha from the existing estate road. The Heritage Trail leads to the Heritage Centre, positioned next to the church yard. - Sea Path link (625m): the Sea Path link runs from the Heritage Centre to meet the Sand Path at Cruary. This section is positioned along an exposed west-facing slope. 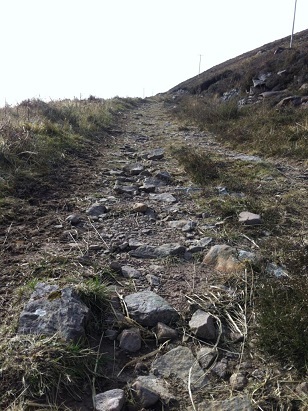 On reaching Cruary, walkers have access along the Sea Path, one of the old access routes used by North Applecross residents before the arrival of the main road. - Roes' Walk (1.5km): a wooded walk that links with the River Walk and Keppoch Track to meander through the estate grounds. - Arboretum Trail (700m): many interesting features such as the walled garden, native and exotic trees and the former Ice House evident along its length. - The Lost Path (800m): two options taking in what is thought to be the old route for guests to promenade in the 1800s. Here there are spectacular views out over the bay. - Keppoch Track (2km): leading from the main road into Applecross, the Keppoch Track links with the Archaeological Trail and the Roes' Walk. It takes in the Lime Kiln, Ice Pond and of course the cleared township of Keppoch. - Beechwood Trail (720m): parallel to the bay road. Lined with beech trees and leading from the Coal Shed to the white gates of the Applecross estate grounds. - Torgarve Track (550m): linking up the Archaeological Walk from the top of Torgarve (ruined township) to Milltown Loch. Again, spectacular views out over the Sound. - Smiddy Walk (400m): linking with the Archaeological Trail and offering fantastic views over the treetops of Applecross. - Carnach Woodland Trail (500m): a mystical walk through ancient atlantic hazel woods, moss and lychens. The paths can be done individually for those that just want a short walk, or can be linked together to make a much longer walk around the Applecross Bay area. All paths are signposted with bilingual signage and there are leaflets, booklets and walks panels to help people to get out and about.